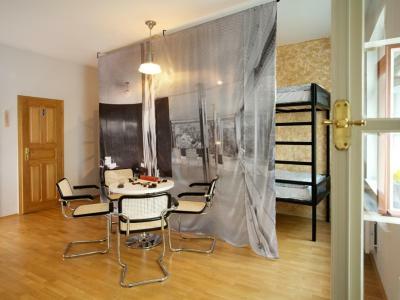 Lock in a great price for Flats & Hostel Mitte – rated 8.9 by recent guests! 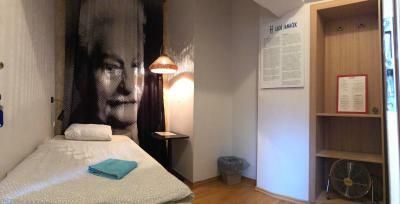 We stayed in the Kundera room, the bed was very comfortable and the room has a big table and bench which is nice. There is a breakfast option to pay 119 CZK which gets you breakfast at a really great bistro nearby, otherwise there is also free cereal in the kitchen. The common area is really big and is furnished with cool antique furniture. Its super convenient location close to all tourists attraction. Safe, peace and quiet during the night time. The location is great! It's next to a mall in the city center. And the kitchen is always clean . I love it! The room is very spacious and clean. 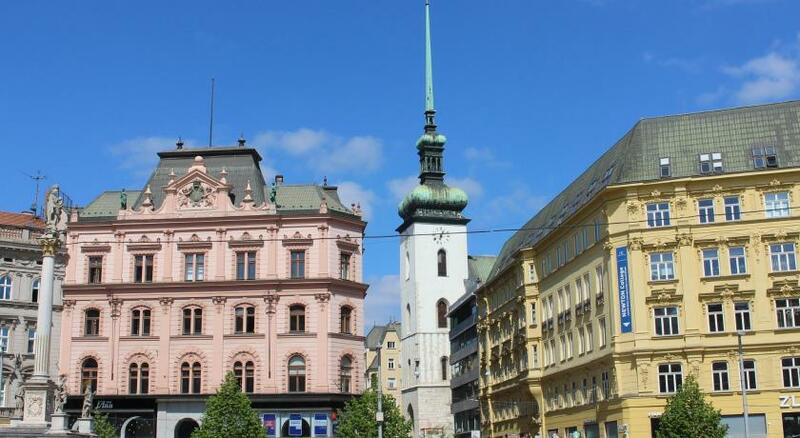 The location is in the city center.It is the best choose in Brno. Excellent location with very nice facilities. Great, helpful staff. All around terrific and would highly recommend. The location was pretty great. I liked that. There is a coffee shop associated which was delicious. Apartment was gorgeous! Great price. City Centre. Clean. Great facilities- loved being able to do my own cooking and laundry. Private balcony off my room! 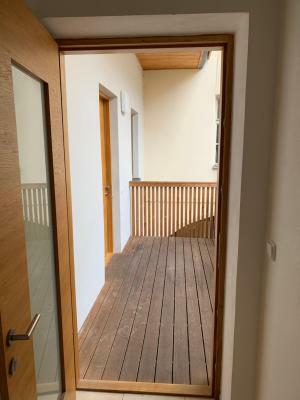 The location is great - it's in the city center and close to the bus station. The staff is very friendly and helpful. They recommended us a nice place to have something local to eat and handed us a map. 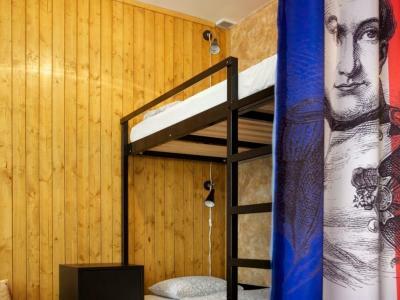 I didn't expect to have so much privacy in a shared bedroom - each bunk bed is separated with a wall and has a curtain not to disturb people with the light at night. Also, there is a fridge in the shared kitchen. I definitely recommend this place. Extremely good location. Can't ask for a better location. Literally seconds away to everything. Very strong wifi. The router is right inside the room. Clean and modern room. 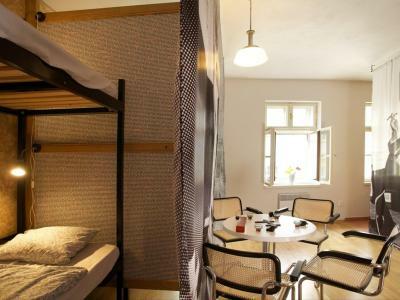 Flats & Hostel Mitte This rating is a reflection of how the property compares to the industry standard when it comes to price, facilities and services available. It's based on a self-evaluation by the property. Use this rating to help choose your stay! One of our best sellers in Brno! 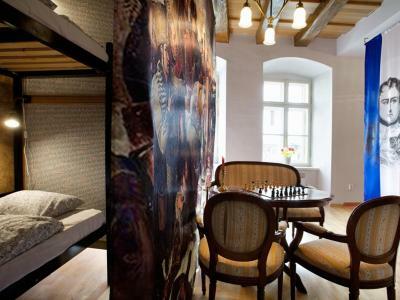 This small hostel is set in a historic building in Brno’s historic center. It offers a café-bar and free Wi-Fi. 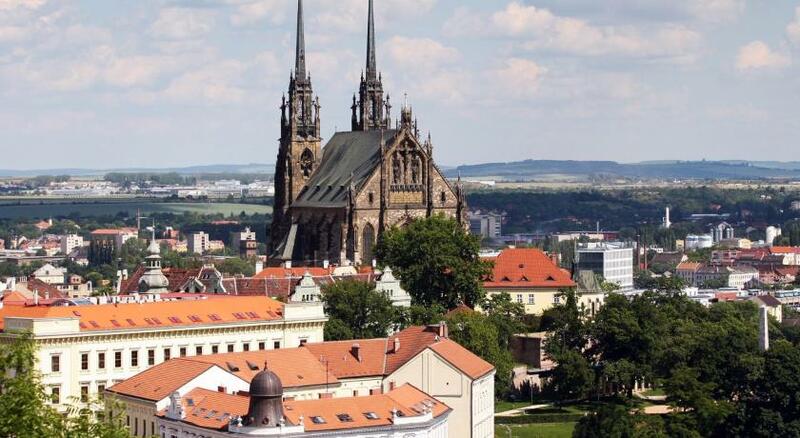 The Cathedral of St. Peter and Paul is 1,500 feet away. 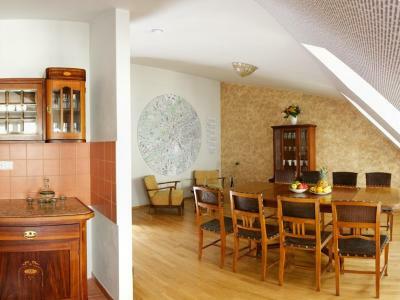 Rooms at Hostel Mitte here have original parquet flooring and wooden furniture, including a dining table. They are all decorated with Czech historical scenes and portraits of Czech artists. There is a common lounge area at the property, as well, located on the 3rd floor. You can also use the shared fully equipped kitchen, complete with a microwave, cooking utensils and a large refrigerator. 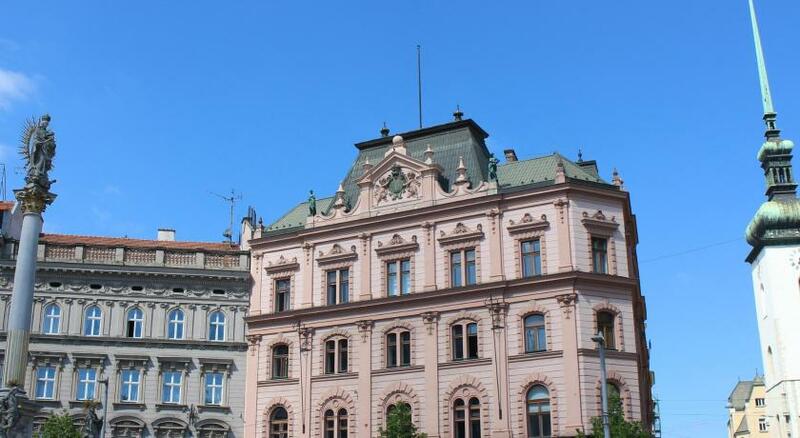 Brno’s Train Station is a 7-minute walk from Mitte Hostel. You can find a cinema, a pub and plenty of shops in the immediate vicinity. 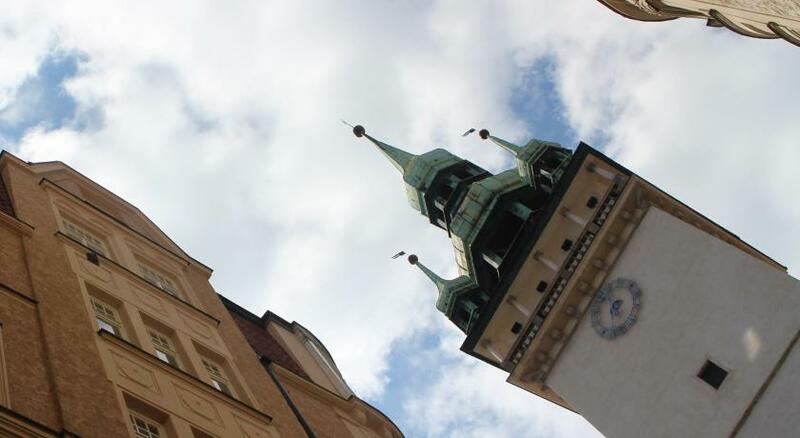 뀐 Located in the real heart of Brno, this property has an excellent location score of 9.6! When would you like to stay at Flats & Hostel Mitte? You can book a bunk bed with an individual safety deposit box. Bathroom is shared. 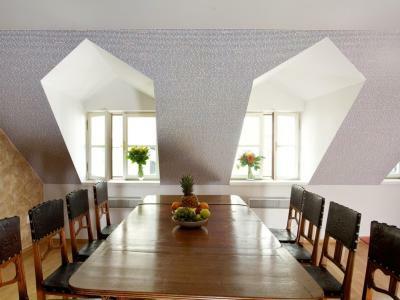 This room type is located on the 1st and 2nd floor of the historical building with no elevator. The 3rd floor features a kitchen and a common room. 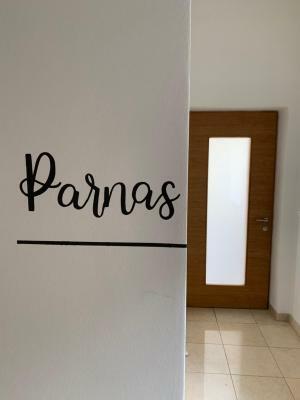 Set on the 3rd floor of a historical building with no elevator, the room comes with a shared bathroom and toilet facilities located in the hall on the same floor. The 3rd floor also features a kitchen and a common room. 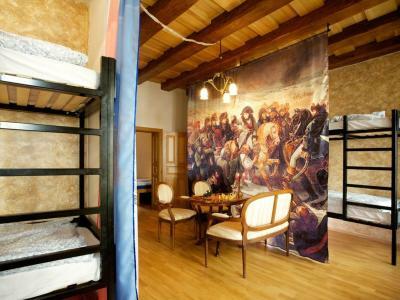 Set on the 4th floor of a historical building with no elevator, this room has 1 double bed and a bed which is 59 in long. 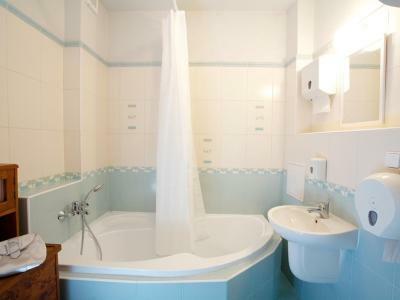 Bathroom and toilet facilities are shared and are located on the 3rd floor. Guests also used a common fully-equipped kitchen and a common room. Set on the 1st floor of a historical building with no elevator. You can book a bed in a female only dormitory room with a balcony, kitchen and a shared bathroom. 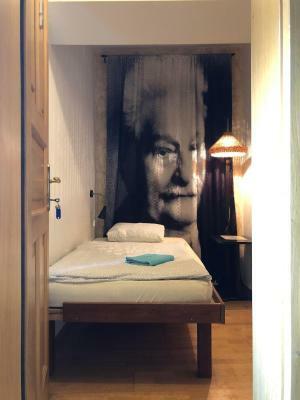 House Rules Flats & Hostel Mitte takes special requests – add in the next step! Flats &amp; Hostel Mitte accepts these cards and reserves the right to temporarily hold an amount prior to arrival. Flats & Hostel Mitte accepts these cards and reserves the right to temporarily hold an amount prior to arrival. 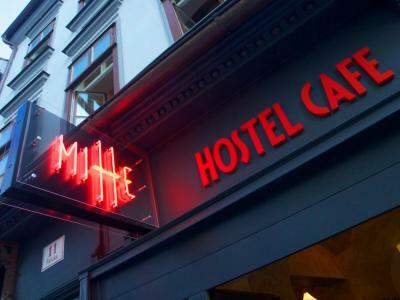 Please inform Flats & Hostel Mitte of your expected arrival time in advance. You can use the Special Requests box when booking, or contact the property directly using the contact details in your confirmation. Great location. The room was nice and clean. Even tough it was a room for more people it was nice and big and comfortable. 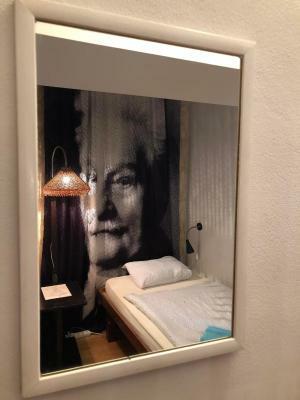 I was very pleased with the accomodation especially for such a price. The location was also perfect close to the centre. The shower pressure was very low. Both the reception and our room were on higher floors with no elevator. Although we didn’t mind it, it might be a problem for someone. Comfortable large room with a nicely equipped kitchenette. 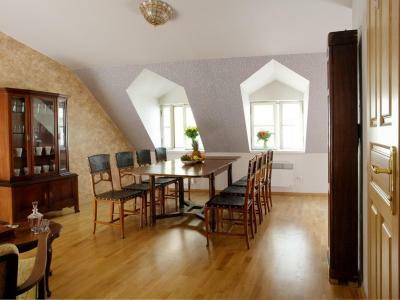 Great location right in the historical center of Brno. The best experience of staying in hostels. Location, cleanliness and comfort. Lady at the reception explain us everything and all in all, it was really nice. And the city is so beautiful! The stairs are very noisy at night, you can hear people going up and down all the time. They just need some carpet! Stairs are very lound in the hostel so everytime someone walks on them it makes lot of noise. Wifi didnt work. Room had a strange smell, but it was not possible to get a fresh air by opening the window cause outside was strong kitchen smell, probably from restaurant next to it? I had bad luck with disrespectfull guests-lot of screaming,wet bathroom, dirty dishes-thats not the hostel's fault but it made my impression. Good place for young people going to party in Brno. Not that good for someone who require good rest and higher comfort. Very nice stuff and comfy bed. I really liked the apartment. It was bigger and better than expected. The kitchenette was fairly big, and its just perfect for 2 people! I would definitely recommend this because the location is perfect! I did feel a little unsafe on the top bunk due to its height and lack of a side rail but that was only a minor negative. 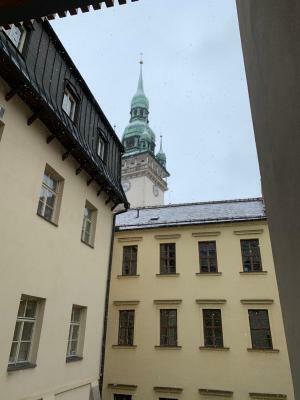 It was a great hostel in the perfect city centre location. Staff spoke perfect English and were very welcoming. I stayed in a 6-bed female only dorm that was very spacious and had it's own bathroom. Also the first hostel I've been to, where I was given a padlock for the locker. Great location, kind and helpful staff, very clean spacious room with nice beds. Good common area/kitchen and the small hostel cafe is wonderful as well. 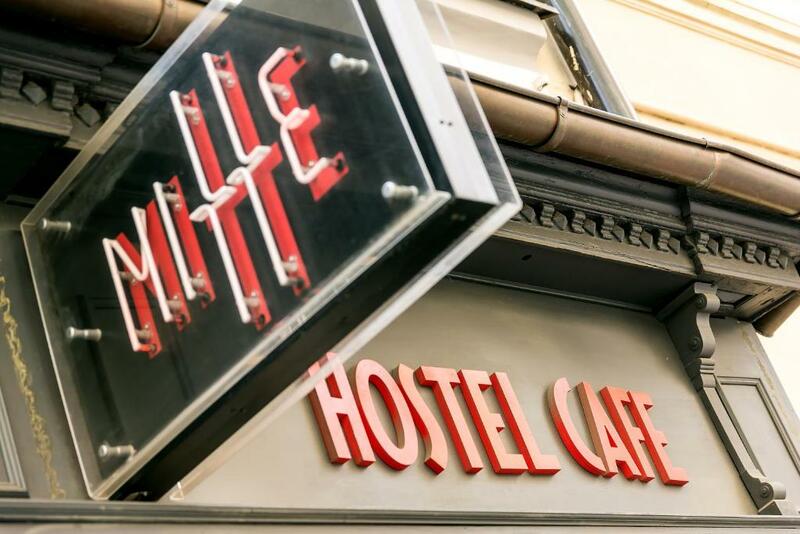 The best hostel in Brno. For sure!